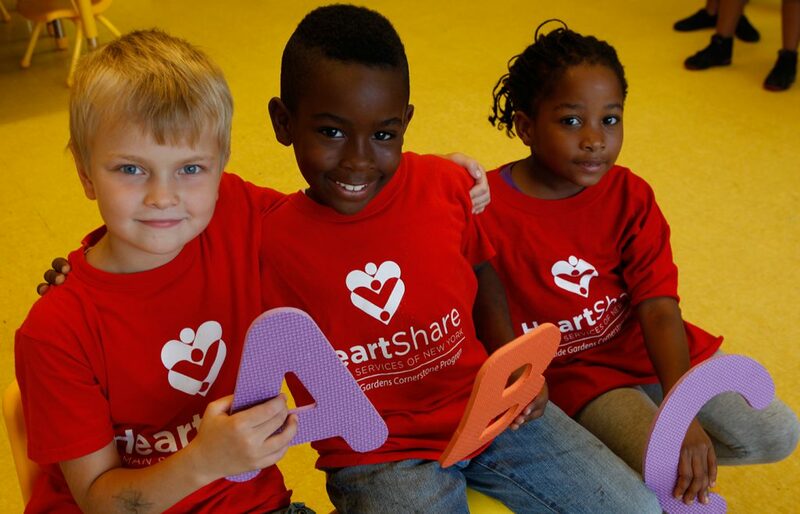 HeartShare St. Vincent’s Services (HSVS) opens new doors of opportunities for over 5,000 children and families. HeartShare St. Vincent’s Services (HSVS) empowers children, individuals and families to overcome the challenges of family crises, addiction, mental illness and poverty. Working together, HSVS opens new doors of opportunity to help clients achieve healthy and happy lives. Founded in 1869 as St. Vincent’s Services, HSVS was formed in 2014 through an affiliation with HeartShare Human Services of New York. HSVS is stronger than ever and continues its unwavering commitment to serving the children, families and individuals in our care. Today, we are the third largest children’s services provider in the City, and our place in the HeartShare Family ensures that we effectively and efficiently improve the lives of our clients. The mission is to nurture and support, with dignity and respect, children, adults and families in order to expand opportunities and enhance lives. Our commitment to excellent services and supports will enable children, adults and families to reach their fullest potential and lead meaningful lives as active participants in society. Making sure that every child we serve is in a safe environment, where they have a loving connection with a caretaker, and access to the social, emotional, and educational support they need to meet their development milestones. Empowering and engaging parents through the delivery of a comprehensive set of services and support that help them get their children home as safely and quickly as possible, or keep their children home safely. Delivering services to individuals, children and families that have been proven to change lives for the better, and are flexible enough to meet the needs of each individual and his or her unique circumstances. Helping youth find and follow their own path to transition into adulthood, become self-sufficient, and achieve their dreams. Ensuring staff have the tools and support they need to achieve the vision of the agency and thrive, both personally and professionally, in an environment that is respectful, inclusive, and enriching. Celebrating success in all forms and across all aspects of our agency, and encouraging our staff and the individuals we serve to do so in concert with us. With four programmatic divisions— Foster Care and Preventive Programs; Integrated Health Services; Residential and Housing Programs; Youth Development and Community Programs — HSVS staff members serve over 5,000 New Yorkers each year, including over 2,700 of the city’s most vulnerable youth. This continuum of services enables HSVS to meet clients’ unique circumstances and needs, equipping them with tools and skills needed to achieve their dreams. By offering a stable home, a safe place to go after school, a means to graduate college and the skills to achieve physical and mental well-being, HSVS equalizes opportunities for those who need it most. To learn more about the children and families in HeartShare St. Vincent’s Services’ care, visit www.hsvsnyc.org.